IGLYO registration for our Annual Members’ Conference 2018 is open! Register now! Each member organisation should send one delegate or give a proxy vote to another organisation present. Once registered for the Conference join the AMC18 Facebook groupfor the latest updates. *Travel should be booked in advance of registering. 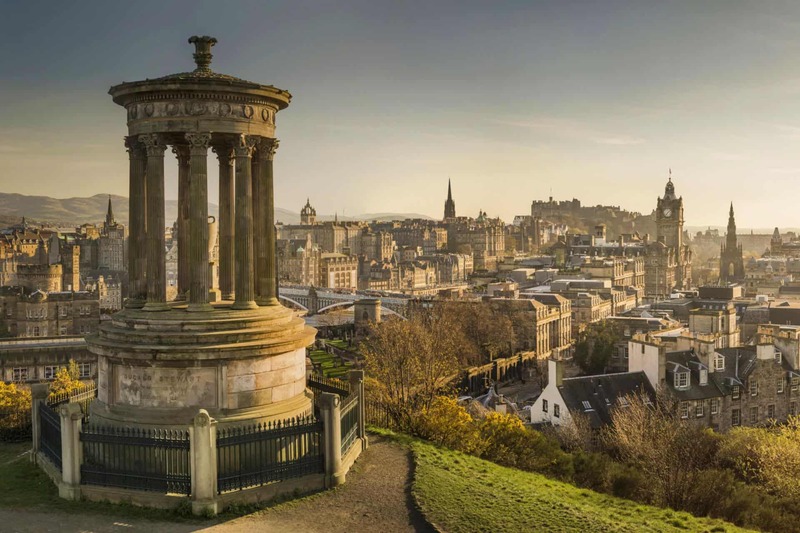 The full conference will take place at Edinburgh Festival Theatre, which is fully accessible. Accommodation will be provided in Edinburgh Central Hostel with 3-5 people sharing each room. Each room has its own bathroom. This year there are no participation fees, however, we are asking for an organisational contribution to support IGLYO’s work. This is especially important to ensure members outside of the EU have the same opportunities to participate in our work. On the registration form it is mandatory to select a organisational contribution amount, but if this prevents your organisation from participating, please complete the IGLYO Contribution Waiver Form by 13 July. No waiver applications will be considered after this date. IGLYO will only be able to consider a small number of waivers, so we ask organisations to only apply if there are no other options available. Accommodation will be provided from 04 October – 07 October. Please keep in mind that accommodation will be provided in a hostel, meaning you will share your room with up to 3 other delegates. All meals will be provided from dinner on 04 October to breakfast on 07 October. Unfortunately, due to funding restrictions, IGLYO will be unable to reimburse any additional meal costs. Organisations who are members of IGLYO can nominate one delegate to the Annual Members’ Conference. Please complete the online registration form on our Members’ Portal. Don’t know your password? Reset it here. If you have any problems accessing your organisation’s profile, please get in touch with us. Member organisations are welcome to send additional delegates to the for a cost of €210. Please note that travel costs of additional delegates will notbe reimbursed by IGLYO. If your organisation is unable to send a representative to take part in the Annual Members Conference, we strongly encourage you to nominate an organisation who can vote on your behalf. This can be done by completing the Proxy Nomination Form. “Should one Member be absent, they may choose to give their vote to a proxy. Proxies must be Members. Any Member may only hold two proxies, expiring at the end of the Annual Members’ Conference for which the proxies were given”. IGLYO will reimburse travel costs for up to €300 for onedelegate from each member organisation. Travel should be booked before completing the registration form, as you will be required to add your arrival/departure dates and times. If your travel exceeds €300, please email us in advance to discuss. All travel booked should be a reasonable compromise between the lowest price and convenience. For budget airlines, a small bag may be added. You can check if you require a visa to travel to U.K. here or at the British embassy/consulate in your country. If you do require a visa please let us know and provide the necessary details via the Registration form. Please make sure that original paper copies arrive no later than 01 November 2017 in the IGLYO office. Even if your travel was paid for by IGLYO it is essential that you keep all tickets and receipts. Boarding passes are especially important, so even if you check in online, please save a PDF copy of all tickets. Failure to supply tickets or receipts will result in you being asked to pay back the amount in full. Whenever possible, you should check in online prior to departure and save the copy of electronic boarding passes to send with your completed reimbursement form and any other receipts to receipts@iglyo.com. This ensures that the boarding passes will not be lost. Furthermore, it is required to check in online by some of the budget airlines to avoid additional charges. All claims made must be recorded on the IGLYO Reimbursement Form, signed and dated by the claimant and accompanied by receipts, which must be numbered and attached to sheets of A4, taped behind the Reimbursement Form. All receipts must be arranged so they are fully visible. Delegates must participate at least in 80% of the AMC to get their travel costs reimbursed. Do you think IGLYO is missing a topic that members should talk or know about? Do you think the statutes need an update? You can submit both motions and agenda changes through the Motion Submission Form by the deadline above. Please note that only concrete proposals with a clear explanation shall be submitted. Incomplete proposals without sufficient information may cause the motion/agenda change not to be considered. Every AMC involves voting for new IGLYO Board Members. If your organisation would like to be more actively involved in running IGLYO you can submit a Board Application Form by the deadline above. IGLYO encourages member organisations to think about diversity when nominating candidates. IGLYO invites every member organisation to apply for hosting the AMC two years in advance. For more details on what we expect from and support AMC host organisation with, have a look at the Host Application Form and submit your application by the deadline above. Should you have any further questions about the registration, travel, fees, preparations for the Annual Members Conference or application processes, please do not hesitate to contact us via services@iglyo.com.